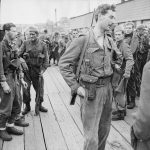 This is the second part of my review of The stress of battle: quantifying human performance in combat Â by David Rowland, which is an essential piece of Operational Research on WW2 and Cold War combat operations. For this part I thought that I would focus on the lessons on urban battles. Rowland and his team used historical analysis on lots of WW2 urban battles and then compared this to a series of field trials using laser attachments to small arms and tank main armaments in the late 1970s and early 1980s. Â The approach was toÂ find battles where single variables could be controlled, and then use them to work out what the effect of that variable was on outcomes. Here’s an interesting table on how attacker casualties vary by odds and the density of defending machine guns. Interestingly, in successful assaults the defender casualties are constant. The interesting thing for me is that training/experience counts for a lot, halving casualties. Also attacking with the conventional 3:1 odds for success increases the casualties that you suffer, without having any appreciable difference in those inflicted on the enemy (although it does make it more likely for succesful attacksÂ with untrained/inexperienced troops). Adding armour support makes a huge difference too. 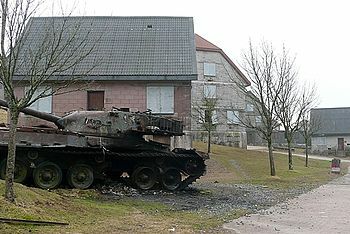 Although tanks in urban areas are more vulnerable if they lose their infantry support. 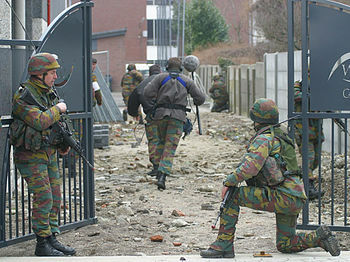 However with infantry they significantly reduce attacker casualties. This another area covered. 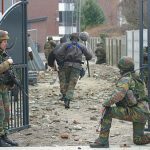 There is a general increase in attacker casualties by about 50% when defenders are in rubble or prepared defences. The primary effect of rubble though is to slow down rates of advance. An interesting aside on this was the relative effectiveness of different types of German Infantry. Parachute troops and Panzergrenadiers were reckoned to be tougher opponents than normal infantry. However the analysis showed that the extra stubbornness was a factor of the higher than normal allocation of MGs to those troops. The rate of attacker casualties per defence MG wasn’t significantly different.